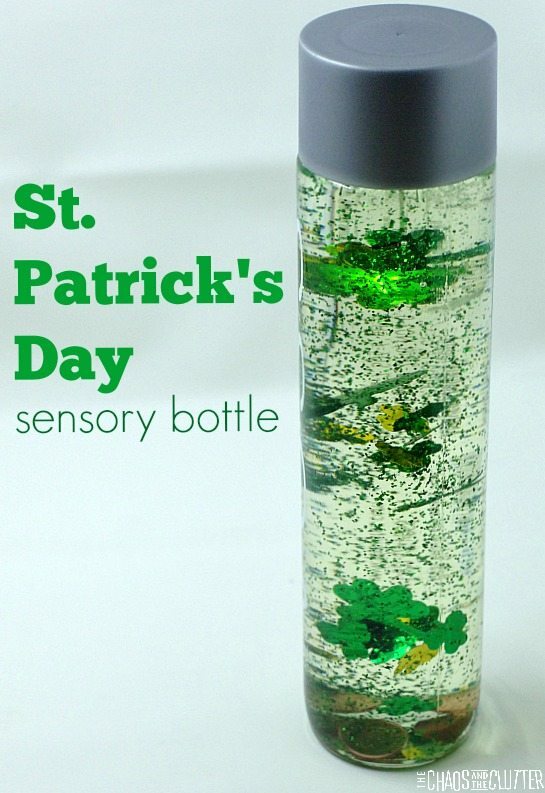 I’m on a mission to make a different sensory bottle every month this year and I thought it would be appropriate to make a St. Patrick’s Day Sensory Bottle for the month of March. 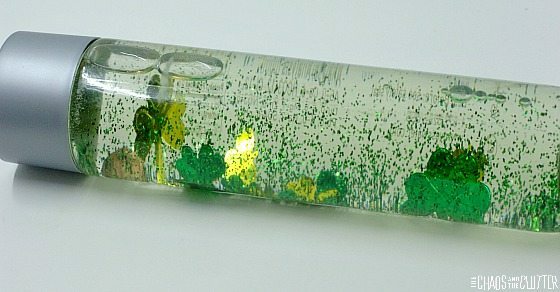 I have to admit that this one is actually my second attempt because the items I planned to put in my first concept were too large to fit through the opening at the top of the bottle. For this successful St. Patty’s Day discovery bottle, I added items that could fit through the opening in the water bottle. 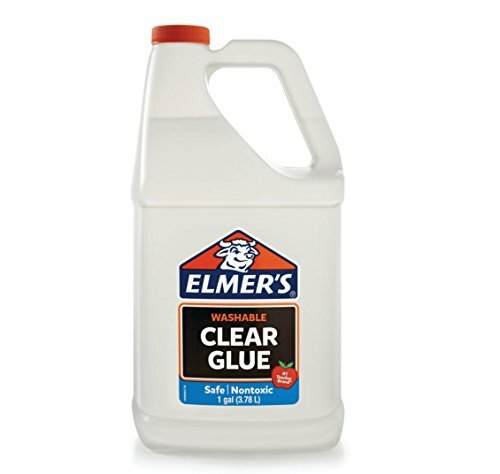 I also used a combination of glue and water so that the items move differently through the bottle. 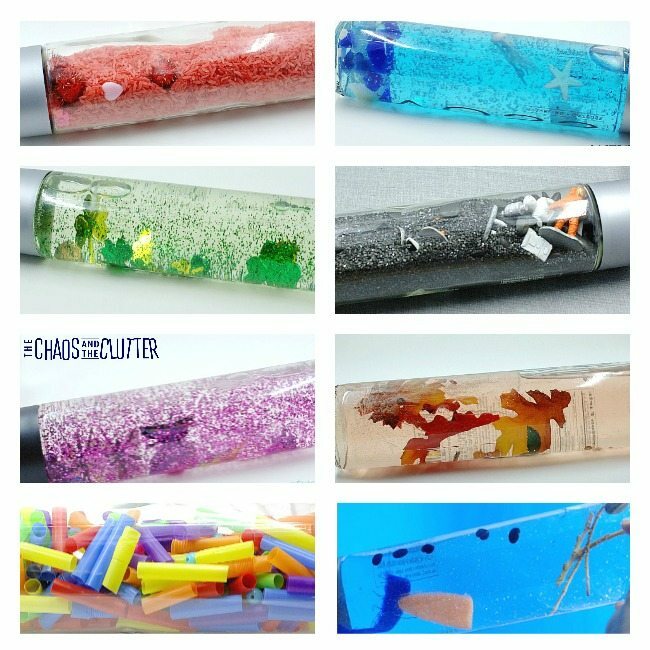 Adding the glue to this sensory bottle helps suspend the items as they travel more slowly through the liquid. 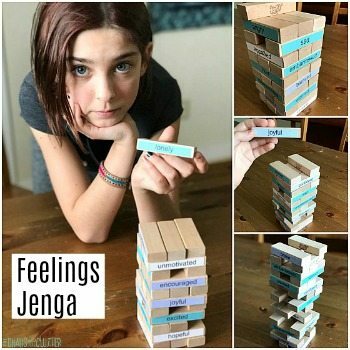 In order to achieve this, start with adding the glue to the bottle and filling it almost the rest of the way full with hot water and shaking it to combine. 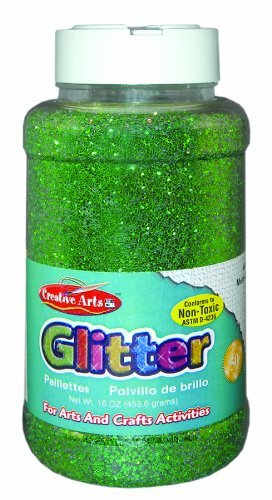 Once the water and glue are combined, add the glitter, shamrocks and coins or pennies to the bottle. 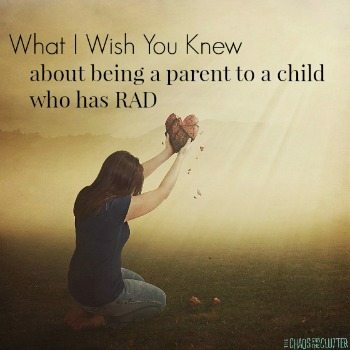 Replace the lid and give it a good shake. 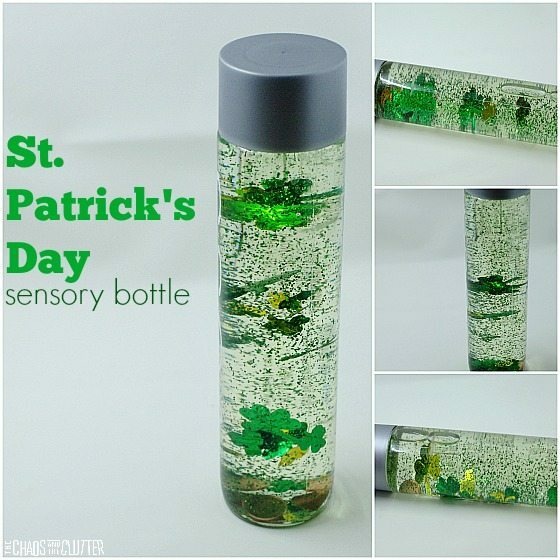 This St. Patrick’s Day sensory bottle does contain small parts, so if younger children are going to play with it, you may want to secure the lid by gluing it in place with a hot glue gun. 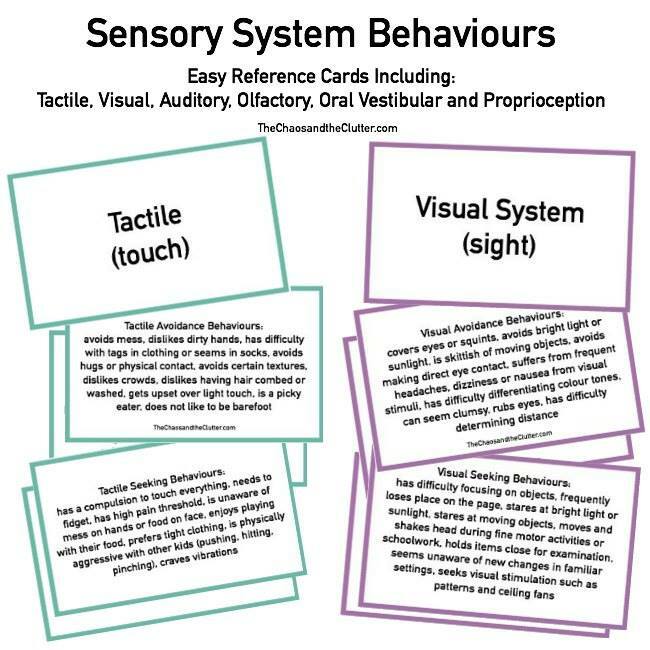 If you are looking for other sensory ideas, join me for a free 5 part email series Sensory Solutions and Activities (just pop your email into the box below) and get a printable list of 175 Great Sensory Ideas. 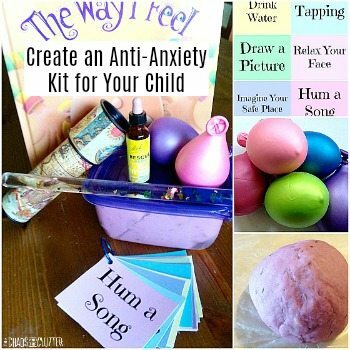 You can see all of our easy-to-make sensory bottles here.